Celia Miles is a native of Appalachia, born in Western North Carolina, and, except for brief stints in Massachusetts and Virginia, plus college in Kentucky and Pennsylvania, has lived here all her life. While teaching she co-authored a textbook for the two-year college market (Writing Technical Reports, adapted for the Canadian market as Some Assembly Required. McGraw-Hill, publisher). Now in addition to freelance editing and writing in various genres—thus, a “nicheless author”—her interests include traveling, photography, old grist mills, and Neolithic sites, especially stone circles. Read an interview about Celia’s writing life by Netwest Mountain Writers and Poets. Also see her ‘Inside the Artist’s Studio’ interview on the Mountain Made art gallery blog. Celia has also written two short story collections: On a Slant: A Collection of Stories & Islands One and All: Stories and Otherwise. Her poems (few and far between) and selected short stories have appeared in Appalachian Heritage, Old Mountain Press anthologies, WNC Woman, and other publications. 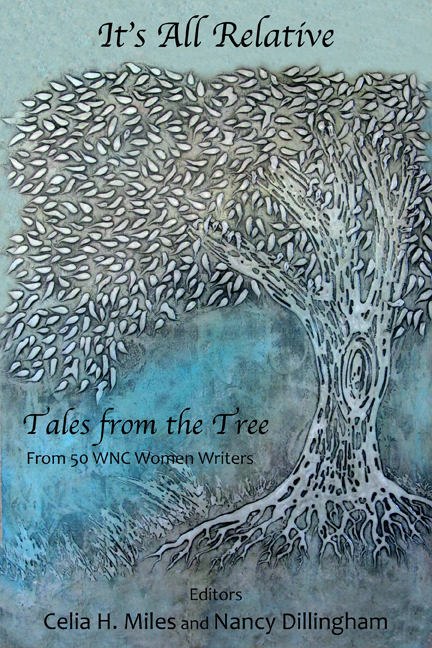 With Nancy Dillingham, she has co-edited four anthologies of regional women writers: Christmas Presences from 45 WNC Women Writers, Clothes Lines from 75 WNC Women Writers and Women’s Spaces Women’s Places from 50 WNC Women Writers and their latest It’s All Relative: Tales from the Tree from 50 WNC Women Writers. 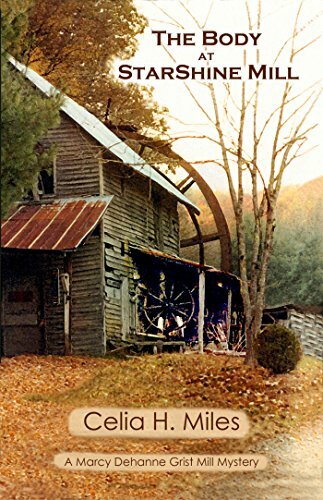 Flush off the first successful project of her second career that offered the unexpected surprise of a dead body, ex-college teacher, Marcy Dehanne, undaunted, sets off to restore yet another old mill in western North Carolina. StarShine Mill boasts the largest waterwheel she has ever seen, but Marcy is sure it is redeemable. Her enthusiasm is dampened, however, by the mill’s desolate and eerie atmosphere and—you guessed it—another dead body. Ignoring common sense, direct orders, and unwanted advice, Marcy, along with a young townie named Charlene and enigmatic reprobate Axel, determines to get the job done and to see justice prevail. Having quit her marriage and teaching career, Marcy Dehanne, a newly established Mill Consultant, arrives at remote Wrapp’s Mill in western North Carolina. She expects to land her first employment: implementing the restoration of the small, deteriorating grist mill. She finds, instead, a half-buried body behind the water wheel. The discovery of the corpse, unknown locally, complicates the possibility of restoring the mill, but with the help of a young female deputy—and a decided lack of enthusiasm from the sheriff’s office, the owner, and the handsome uncle of the deputy—Marcy forges ahead, risking her life to solve the murder and to restore the mill. A fan of mysteries and a devotee of grist mills, fifty-year-old Marcy realizes that reading about murder is much safer—if less interesting—than delving headlong into one. Celia H. Miles has several novels to her credit, but this is her first mystery. 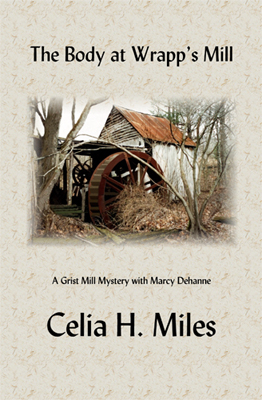 In it, she combines her delight in the reading of mysteries and her love of old mills. When not traveling to find and photograph old mills, she lives in Asheville, North Carolina. In this smorgasbord of family stories, essays, and poems, you can nibble on a nugget, munch on a morsel, or gobble down a whole meal.